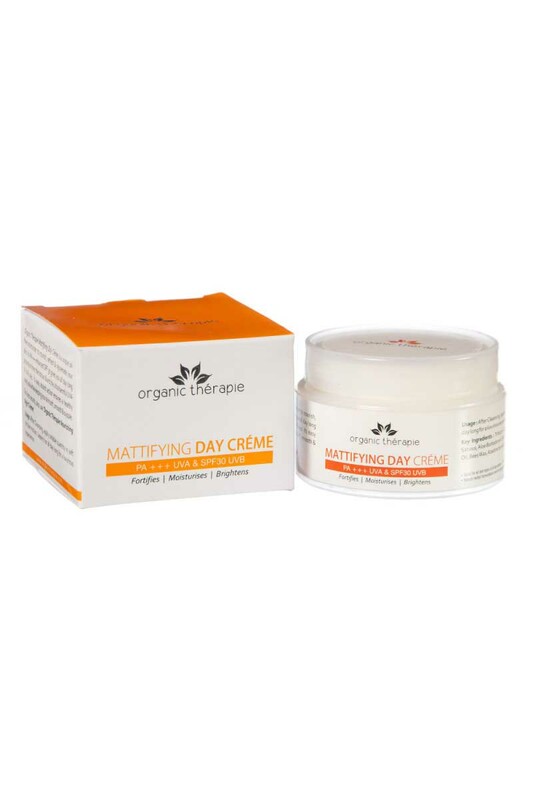 Organic Therapie Mattifying Day CreÌ€Me Is A Unique Moisturizer To Nourish, Refresh & Rejuvenate Your Skin, All Day Long. Its Pa+++ Enhanced Spf 30 Protects Your Skin From The Hot Sun & And The Ultra Harmful Uva & Uvb Rays. Its Easy Absorb Action Ensures A Healthy Matt Look While Keeping Your Skin Soft, Smooth & Supple. For Best Results, Also Use 'Organic Therapie Nourishing Night CreÌ€Me'. Fortifies Moisturizes Brightens.